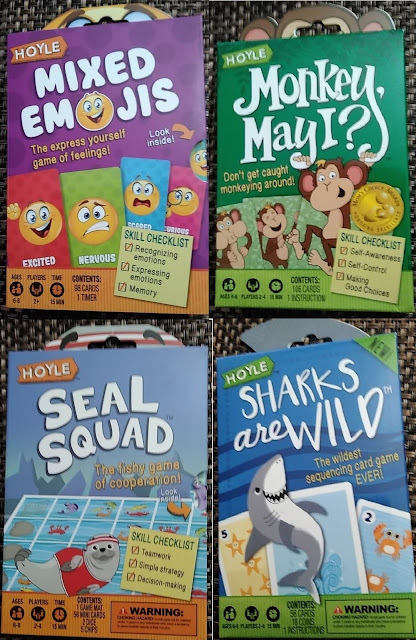 Enter this giveaway for 4 card games for kids from Hoyle. The United States Playing Card Company (Hoyle) will ship the prize to the winner. The winner will receive the following card games for kids: Mixed Emojis, Monkey May I?, Seal Squad and Sharks are Wild. We are not responsible if the sponsor fails to deliver the prize. Must be United States residents to be eligible to win. Come back daily for more entries!